SEOUL, Feb. 20 (Yonhap) -- South Korea's finance minister said Wednesday that Seoul will become the first country in the world to start commercial operations of fifth-generation mobile network services next month. Hong Nam-ki made the announcement at a meeting with senior officials on innovation-led growth in Seoul. KT Corp., South Korea's leading wireless and fixed-line services provider, carried out a world first trial service of its 5G system during the PyeongChang Winter Olympics last year. 5G data transmission speeds are 40-50 times faster than the existing 4G network or long-term evolution (LTE) and are expected to open a wide range of new business opportunities for the communication service sector. The system, moreover, allows greater numbers of people to communicate with each other at the same time and promises to open vast markets for devices and services. 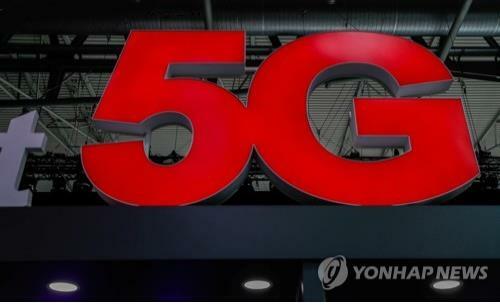 The finance minister also said KT and two other local competitors -- SK Telecom Co. and LG Uplus Inc. -- will invest some 3 trillion won (US$2.6 billion) this year to set up seamless 5G connectivity in the country going forward.